Mr. Peter Schuller is the global IT services director at McKinsey & Co. from Dusseldorf. 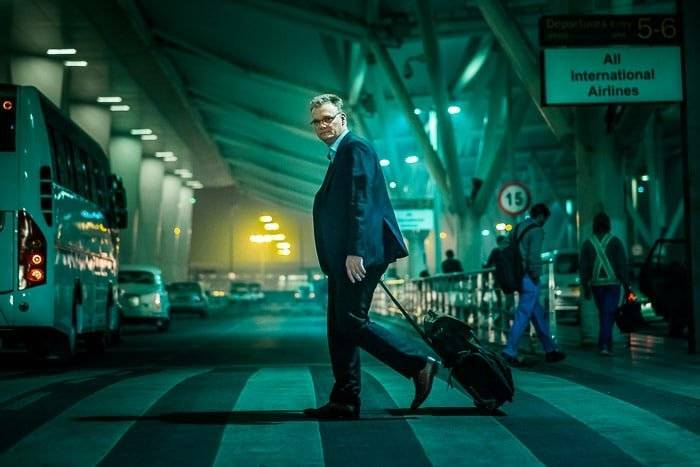 He embodies what we could refer to as an ‘executive on the move’. 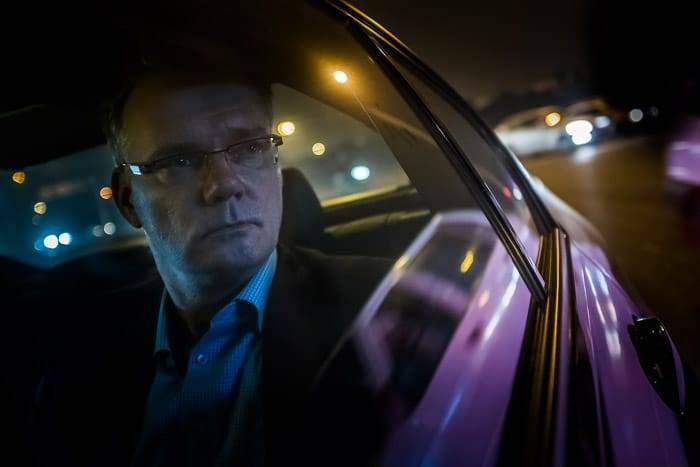 He spends a large part of his life in transit between hotel rooms, the taxi to the nearest airport and the departure or arrival terminals. Picking up luggage from the conveyer belt and checking in at the business hotel is something this modern executive is all too familiar with. Still, he is a family man and has a home in Germany. 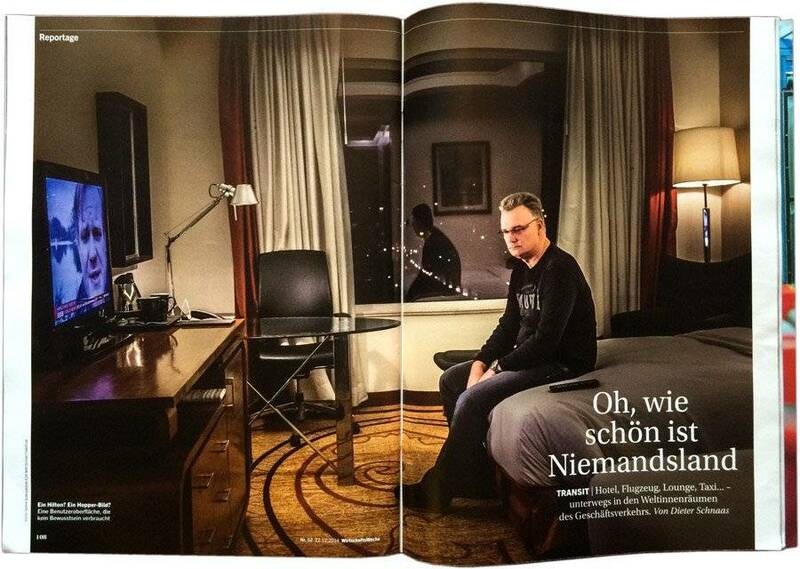 How, in all the stress, can he find time for himself and his family was the centre of the story for the German WirtschaftsWoche (Economic Weekly) magazine. I went to meet and photograph mr. Schuller as he was passing through New Delhi on his way to the next destination. The brief was simple. The magazine wanted me to portray the loneliness of the travel life style. They mentioned the movie Lost in Translation as a reference to the feel they wish the images to have. With this in mind I set out to meet Mr. Schuller at the Hilton hotel in Gurgaon as he was preparing to leave for his flight back to Europe. I wanted some images in the car but I knew that a regular Delhi taxi would not look the part. Luckily, a colleague from the McKinsey office had just bought a brand new BMW and had a greed to come for the ride. 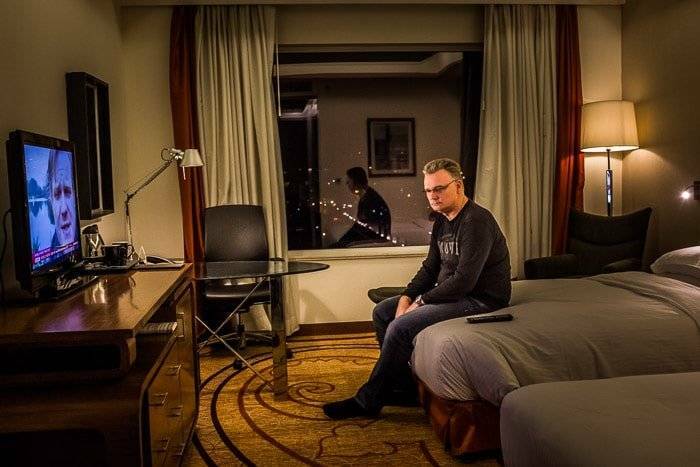 We started at the hotel with a very simple shoot on the bed, trying to get the feel of the poster of the famous movie featuring Bill Murray as the lonely, aging movie star Bob Harris. This images ended up being the opening shot for the story. The shot in the car took longer than I expected. I ended up shooting out of the window while driving in circles outside terminal 3. It took quite a few attempts to get the right angle and feel but I was quite pleased. The last shot was as he was entering the terminal on his way home. Sephi Bergerson is a documentary photographer based in India since 2012. His work has already been published in The New York Times, Forbes magazine, Le Monde, The International Herald Tribune, Time magazine and more. He is available for corporate portrait photography assignments as well as editorial and commercial photography in India and worldwide.